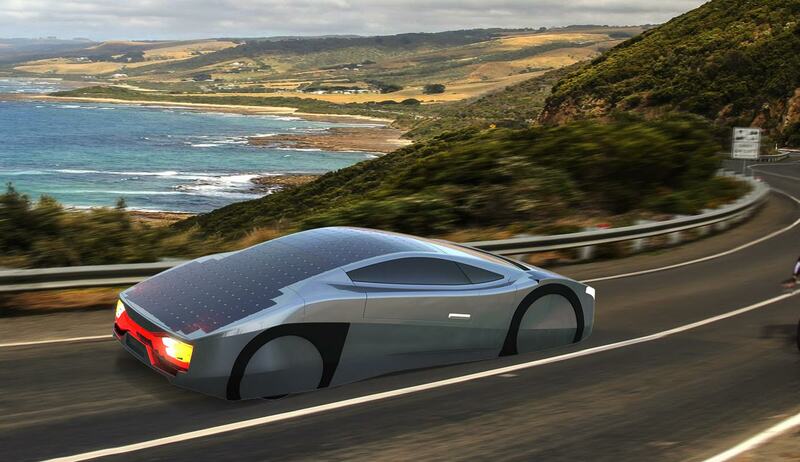 EVX is a startup company in Melbourne, Australia which makes a futuristic solar-powered car. The car is called 'Immortus' will undergo its international debut at SEMA, November 2015. "Immortus a roadster car weighing 250 kilograms, powered 40 kW and can accommodate two people plus enough space for luggage," an EVX statement cited by Autoevolution. They claimed that Immortus can accelerate from 0 to 100 kilometers per hour in not more than 7 seconds. Its maximum speed reached 150 km/h. 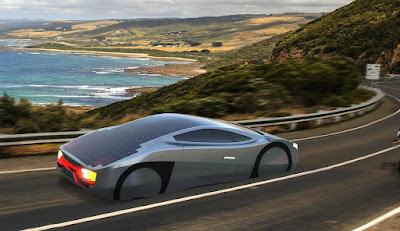 Speaking of its cruising, Immortus can reach a distance of 550 km when driven at an average speed of 80 km/h. The range can be achieved by relying on a combination of battery power and solar. Meanwhile if the vehicle driving only by relying on solar power, the maximum speed is 60 km/h. Immortus designed with a shape that supports the aerodynamic side. Chassis design was made to adjust so that the vehicle is stable when taken at high speed. According to the company, EVX is a collaboration with the leading electric vehicle Research and Development group at the Swinburne University of Technology and experienced local engineers who have designed and produced award winning solar racing cars before. In addition to developing the concept model, EVX will also realize Immortus production version. EVX doesn’t expect to sell more than 100 of the Immortus. At an estimated AUD$500,000 (approx. US $370,000) depending on spec, it’s a boutique, high priced technology platform that will only appeal to extremely wealthy early adopters. But the ideas developed through the Immortus project are filtering out into a range of other projects that are much more consumer focused.